It came a day early, and it was in perfect condition. The screen is no problem. I cam see it clearly no matter what the weather is. It comes fully charged. Works perfectly! It was in perfect condition and delivered fast! I will give Lukie games five stars for getting us the Gameboy so quickly, and for the excellent condition the device is in. No scratches, and it works perfectly. I've never used a Gameboy before, and was unaware that this model isn't backlit, but aside from that, I'm very happy with the Gameboy as well. I got it pretty quick, I've owned one before and I loved it! 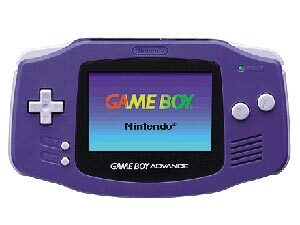 I actually prefer this model over the GBA SP. However, I love the GBA SP (AGS-101) with the backlit screen. But the SP system is a little small for my hands. Good system overall! Screen was new but came in the mail with the plastic protector peeled about an inch off the screen. That caused some scratches on the new screen. The systems buttons feel good and the sound is good. The system shell is scratched a bit but for a 2000 model not bad. This system i purchased I rate it a 7 out of 10. I'm still happy with my purchase thanks lukie games!! I bought this GameBoy Advance system for my Pokemon FireRed Version game. This item is in a decent condition. Fast shipment. Only tiny problem is that the screen protector has a little bubbles on the lower right corners. But I still willing to give 5 stars for the quality of this product. I hope to buy from Lukie Games again in the future. The console arrived in great condition. It is absolutely fine except for a small scratch or two but otherwise it's in very good condition. It's a great system to collect for with so many gems. Excellent condition and shipped fast! Definitely will buy from again! Arrived very quickly. Perfect condition, definitely will buy from again. 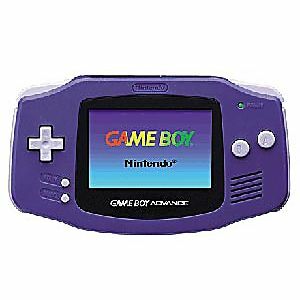 I bought this game boy advance for my 4 year old grandson when he comes to visit and he loves it.He never wants to put it down and also the games I bought are working great.Fast service and I will continue buying in the future. Came in great condition! Im surpirsed of how good of condition despite how old it is! LukieGames gets 10/10 Stars! The game boy has been a lot of fun for the kids. I bought 2 Indio and 1 Fuchsia. The description will tell you the screens have been replaced. That is not true. Both the Indigo showed up with scratched screens but the Fuchsia did look new. Of course you have to have good light to see the game but that was always a problem. Overall I'm satisfied, just not overwhelmingly satisfied.